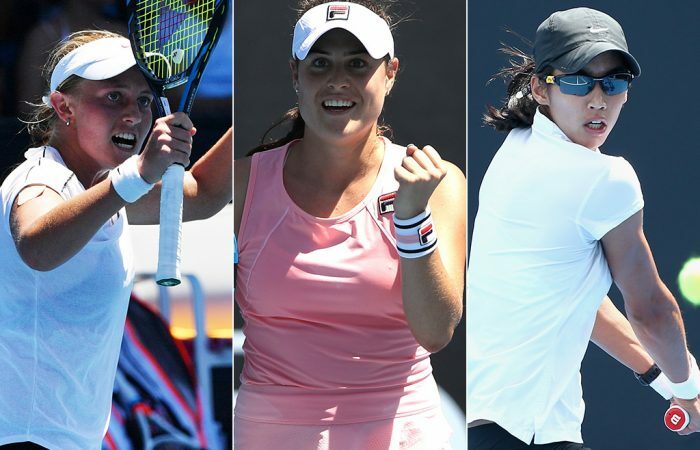 Astra Sharma, Zoe Hives and Kimberly Birrell each picked up their first ever Grand Slam main-draw wins on a memorable day for the host nation on Day 1 of the Australian Open. West Australian Astra Sharma has more than doubled her career earnings after beating compatriot Priscilla Hon in a dramatic first-round Australian Open encounter at Melbourne Park. The 23-year-old Grand Slam debutante won 7-5 4-6 6-1 on Monday after the pair battled it out for more than two hours in searing heat. 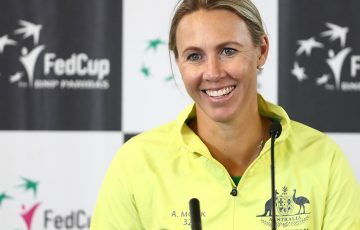 Later on Monday, Victoria’s Zoe Hives – also appearing in the main draw of a Grand Slam event for the first time – joined Sharma in the second round with a comprehensive win over Bethanie Mattek-Sands. Hives needed just 61 minutes to dismiss the former world No.30 6-1 6-2. It was a similarly comfortable win for Kimberly Birrell, who beat Spanish qualifier Paula Badosa Gibert 6-4 6-2. Birrell, a wildcard entry thanks to her victory at the Australian Open Play-off in December, advances to a second-round meeting with 29th seed Donna Vekic. Fellow wildcard Ellen Perez was not so fortunate, undone by 32 unforced errors in a 6-4 6-0 loss to China’s Wang Yafan on Show Court 3. Early in the third set, Hon required medical assistance, telling an official she “threw up a little bit”. The Queenslander’s temperature and blood pressure were checked before a doctor was called. It was Sharma’s fourth win in less than a week, after successfully qualifying with victories over three higher-ranked Russians including former Wimbledon finalist and US Open Vera Zvonareva. Sharma belted 12 aces while Hon misfired 46 times to Sharma’s 30 during the two-hour, nine-minute contest. “(I feel) pretty good. Today was obviously really hot, but been doing my recovery, and I feel ready for the next round already. I think just the adrenaline,” Sharma smiled. “But, yeah, it was really hot today and I think we both kind of struggled in that heat. “I thought I served really well and used my forehand well to open up the court. “(On my serve) definitely she was short-hopping them and getting them back deep. I think that just speaks to how good a player Pri is. “I definitely was a bit taken aback at times because I thought I hit a really good serve and she’d do something special with it. I just knew that if I kept hitting my spots and kept mixing it up, it’s tough to do that all the time. By making it to the second round, Sharma will pocket at least $85,000, having only earned $72,880 during her pro career so far. Her second-round opponent will be the winner of the match between Greece’s Maria Sakkari and French Open 2017 champion Jelena Ostapenko, the 22nd seed. Meanwhile, Hives and Birrell parlayed their wildcard entries into the most significant wins of their fledgling careers. Hives defied her ranking of No.225 in the world to upstage seasoned American Mattek-Sands before Birrell joined her in the last 64. Hives, a 22-year-old from Ballarat earned a crack on Wednesday at French 19th seed Carolina Garcia, a former world No.4. Hailing from the same Southport tennis centre that produced Sam Stosur and Bernard Tomic, Birrell is enjoying a breakout summer. 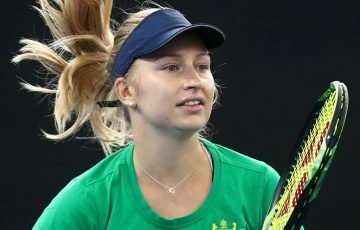 After winning last month’s Open wildcard playoff at Melbourne Park, the 20-year-old stunned world No.10 Daria Kasatkina at the season-opening Brisbane International before also reaching the second round last week in Sydney qualifying thanks to a win over former world No.10 Kristina Mladenovic. Like Hives, Birrell can look forward to a nice rankings rise following their big breakthroughs, not to mention a career pay day of at least $85,000. “The last few weeks have been crazy, but it’s been amazing. 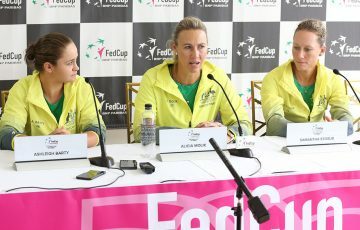 Ive just been trying to take it all in, and ride this little bit of confidence that I have,” Birrell told tennis.com.au. “At the end of the match it was all going so quickly (in my head). I definitely had to stop and take a little moment, take a deep breath. And kinda say to myself, you’ve got this. “It’s an incredible feeling having my first Grand Slam win and I’m just super excited that I get to play again.